Rob Beaglehole: “It doesn’t matter if your sugary drink is Coke, Chocolate milk or even Organic Juice it will still rot your teeth, contribute to type-2 diabetes and obesity“. RB: “Well we’ve talked to the mother about what the child has been eating and drinking. She’s indicated that there was a diet high in sugary drinks”. Sunday: “She must have been getting a lot of sugar”. RB: “Yeah, she was getting it in the baby bottle“. Fluoride Free NZ does not however endorse Beaglehole’s views on water fluoridation. Green Party health spokesperson Kevin Hague agreed on Radio New Zealand’s Morning Report programme on 10 April that sugar is the culprit. He said sugary drinks, and hidden sugars, were causing tooth decay, and the Government should put a tax on them. Fluoride Free NZ does not however endorse Hague’s views on water fluoridation. Adults and children must cut the amount of sugar they consume by as much as half in North America and Western Europe and even more in other areas to lower risk of obesity and tooth decay, the World Health Organization. “We have solid evidence that keeping intake of free sugars to less than 10% of total energy intake reduces the risk of overweight, obesity and tooth decay,” Dr. Francesco Branca, Director of WHO’s Department of Nutrition for Health and Development said in a statement. New Zealanders, on average, consume about 54 kilograms of sugar per year. 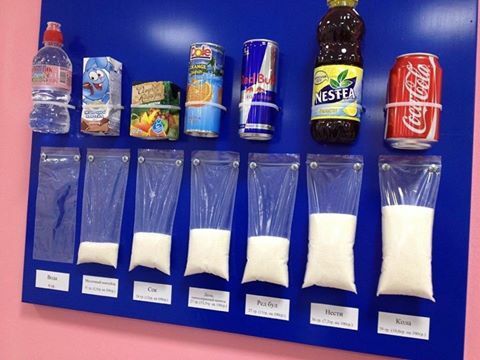 That is equivalent to 37 teaspoons of sugar per person per day. 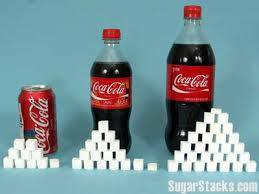 A can of fizzy drink (355 millilitres) could contain up to 10 teaspoons, or 40 grams, of sugar. The Associate Health Minister Peter Dunne shared the governments official line on sugar consumption on the current affairs Programme Sunday on the 7th of March 2015. Peter Dunne made the extraordinary statement that sugar is not the main problem associated with tooth decay in response to calls from dentists to have a tax on sugar. PD: “I don’t think we are addicted to sugar. I don’t think it is a good thing that we consume that amount of sugar per capita but I don’t think that we can put a tax on sugary drinks and it all goes away”. Read the entire transcript of Peter Dunne’s ignorant comments. Peter Dunne’s comments are completely out of line with the recent WHO publication, Guideline: Sugars intake for adults and children. Geneva: World Health Organization; 2015 which, happens to be peer reviewed by the Otago Dental School’s very own Murray Thomson. Dentist Dr Stan Litras highlighted the dismissive and ignorant point of view of Peter Dunne in the Fluoridation Information Network of Dentist’s press release. Dr Litras continues to point out that fluoridation is not the panacea. “Newly published guidelines from the World Health Organization recommend a reduction of sugar intake to below 10 percent of daily energy intake, in order to reduce tooth decay, and other diseases, particularly in children. The report confirms that high sugar is related to increased decay in both fluoridated and non-fluoridated areas, and that while water fluoridation appears to delay tooth decay, it does not completely prevent it”. Is Peter Dunne really the right person to be the Associate Minister of Health if he cannot or will not acknowledge Sugar’s harmful impact on New Zealand’s health? Consistent calls have been made for the Health Department to fight tooth decay by focusing on reducing sugars in the diet and improving tooth brushing compliance in children. Water fluoridation is not the answer to tooth decay. The solution is to promote dental hygiene education, a good diet and regular visits to the dentist. We need to reduce sugar consumption. Stevia – a highly sweet herb derived from the leaf of the South American stevia plant, is sold as a supplement. It’s completely safe in its natural form and can be used to sweeten most dishes and drinks. Fluoride Free NZ provides this information for your convenience and follow-up. Fluoride Free NZ does not hold a view as to the quality or performance of any specific brand. (If you know of any other organisations or individuals working to reduce New Zealand’s addiction to sugar please let us know). Removing accessibility of sugar products in schools – Example of excellent results: Central Alternative High School. Appleton, Wisconsin. 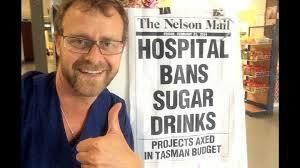 Removing accessibility of sugar products at hospitals, council buildings and government buildings – Dr Beaglehole has had some success with this. A recent peer reviewed study, Sugar Industry Influence on the Scientific Agenda of the National Institute of Dental Research’s 1971 National Caries Program: A Historical Analysis of Internal Documents, has shed light on the close relationship between the sugar industry and public health. In 1966, the National Institute of Dental Research (NIDR) began planning a targeted research program to identify interventions for widespread application to eradicate dental caries (tooth decay) within a decade. In 1971, the NIDR launched the National Caries Program (NCP). The objective of this paper was to explore the sugar industry’s interaction with the NIDR to alter the research priorities of the NIDR NCP. This study highlights that we should be extremely wary of the relationship between industry and public health. We have every right to demand an open transparent discussion and debate on supposed public health initiatives like water fluoridation. Read details of the book, the Case Against Fluoride or check your local library for a copy to read. Is Fluoride effective against Sugar? Recent research (A new understanding of the relationship between sugars, dental caries and fluoride use: implications for limits on sugars consumption. Sheiham A1, James WP2.) 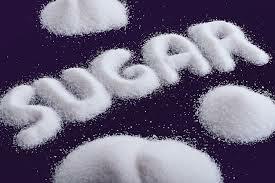 examined the relationship between sugar intake and the progressive development of dental caries. They found that caries occurred in both resistant and susceptible teeth of children when sugar intakes were only 2-3 % of energy intake, provided that the teeth had been exposed to sugars for >3 years. Despite increased enamel resistance after tooth eruption, there was a progressive linear increase in caries throughout life, explaining the higher rates of caries in adults than in children. Fluoride affects progression of caries development but there still is a pandemic prevalence of caries in populations worldwide. Meaning that even the WHO’s latest recommendation of 10%s still far too high. People had perfect and beautiful teeth around the world before the introduction of modern diets with refined sugars and processed foods. Dr Weston A. 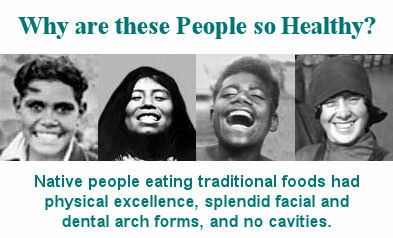 Price was a dentist who spent many years researching dental health and nutrition in the 1930s around the world. Dr Price studied Maori and many other populations before the introduction of commercialised foods. 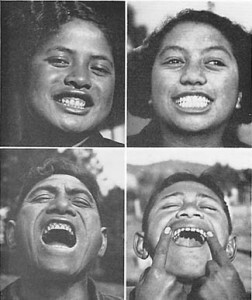 Dr Price studied three Maori iwi who were still eating their traditional diet and found they had perfect teeth and were exceptionally healthy.